New Levi’s® Ribcage jeans have the highest rise of any jeans Levi’s® has produced. As far as waists go, we’re in 1930s Katherine Hepburn territory. They’re perfect for capturing the look and spirit not only of past eras of women’s Levi’s®, but also of today’s stylish women who tailor their oversized vintage 501s® to create high-waisted denim perfection. For the 2019 edition, Levi’s® Engineered Jeans™ are all about style, and will come in the popular, more contemporary fits such as the fashion forward Loose Jean, Slouchy Taper and Reissue Trucker Jacket. As an added bonus, they’ll fit that hidden yet oh-so-comfortable four-way stretch. These fits allow for a vintage vibe while maintaining a more modern silhouette. And, inspired by the original garment details, the reissue will feature a red two-horse back patch, inner pockets printed with the Levi’s® Engineered Jeans™ logo, and a Levi’s® Engineered Jeans™ printed hanger loop. It’s everything that made the 1999 version so popular, but updated with a contemporary style. Levi’s® tailor shop is the ultimate destination for customisation and personalisation. 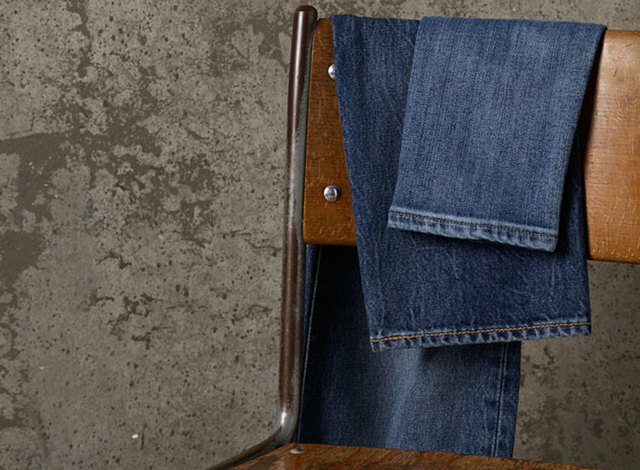 The Levi’s® Tailor Shop gives denim fans the opportunity to breathe life into their all-time favorite Levi’s®, whether they are new Levi’s® wardrobe heroes or old favourites. A team of specially trained in-house tailors offer a free leg length alteration service bespoke to every customer, enabling you to leave the boutique with perfect fitting jeans. The Tailor Shop opening times are in line with the Store trading hours. Mid-season sale now on with up to 40% off.